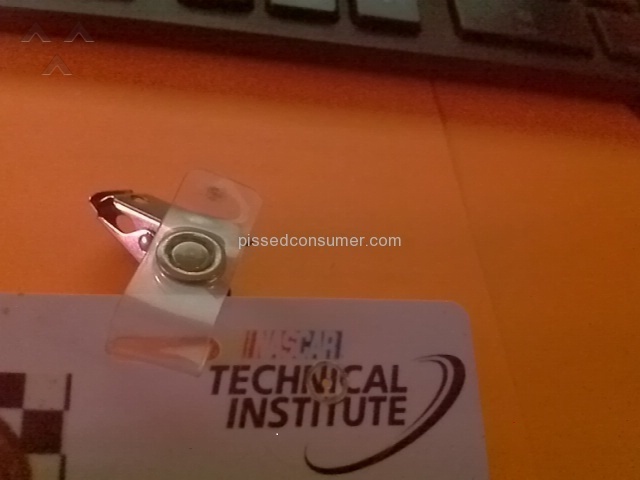 Universal Technical Institute - NTI LIED! Sep 12, 2016 Thank you for providing feedback regarding Nascar Technical Institute Universal Technical Institute (UTI). We are sorry your experience with your education was not a positive one. While it is UTI’s sincere desire to understand your frustration, our customer service representative has not been able to reach out to you directly because your contact information was not provided. As a leading provider of training for students seeking careers as professional automotive, diesel, collision repair, motorcycle and marine technicians, UTI has graduated more than 200,000 technicians during more than 50 years in business. Our reputation is built not only on the quality of our training and instructors but also the success that UTI graduates experience in their careers. Please feel free to reach out to us directly. We would like the opportunity to answer your questions and address your concerns. I went to NTI in 2010. Its is a scam! NTI LIED!!! In every aspect pertaining to the school. From the recruiter coming to my home to graduating with a job. I was supposed to be trained to get a job at the top, because I quote " I would be trained above everyone else because NTI teaches the newest and and best technology out there. I had to settle for a job at a Ford dealership changing oil. The certifications I received is NO GOOD! They are useless. You cant even get the type of certificates with what NTI is teaching.And as far as NASCAR. Well I couldn't even get an interview with any NASCAR teams.They don't do interviews from making appointments or walk ins. You could only get an interview with them thru you. Supposedly, but come to find out NTI was not in good standing with them. So hence changing the name and commercials. I did hours of volunteer work as I was told I had to do for experience for nothing. You where supposed to help me get a job until I found one right. Well how come every time I went to see if there where any positions available for any team the lady working for ME said no jobs available. Go volunteer some more. Then when I went on line there where jobs posted on the NASCAR website. She never even checked on line or any where else. She would tell me there wasn't any and tell my dad she had a list of jobs. I paid NTI over $35000 in money that you told me I would get a career in the top of my field .All I got was the run around and student loans. From a Great Lakes who is a fraud Company. And that you would not give up on me until I had a job. Well where is my job. A and what happened to the school changing its name. So if there is any one else who was lied to wants to get your money back we need to talk. I want to join forces so that we can take this higher. Here is my badge to show I was not lying about the name. Reason of review: all the above . Review #868608 is a subjective opinion of User868608.